This year, I have been fortunate enough to head down to Kentucky for three separate bourbon related events. 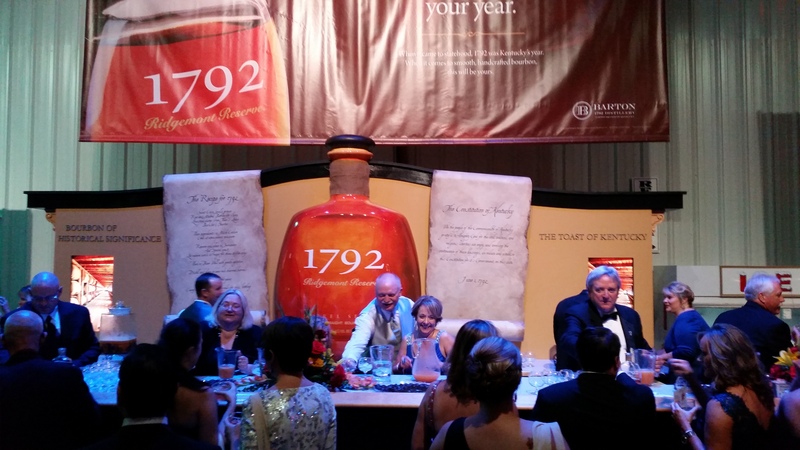 In February, my wife and I went to Louisville to take in the second ever Bourbon Classic, a fantastic celebration of bourbon and its culture. 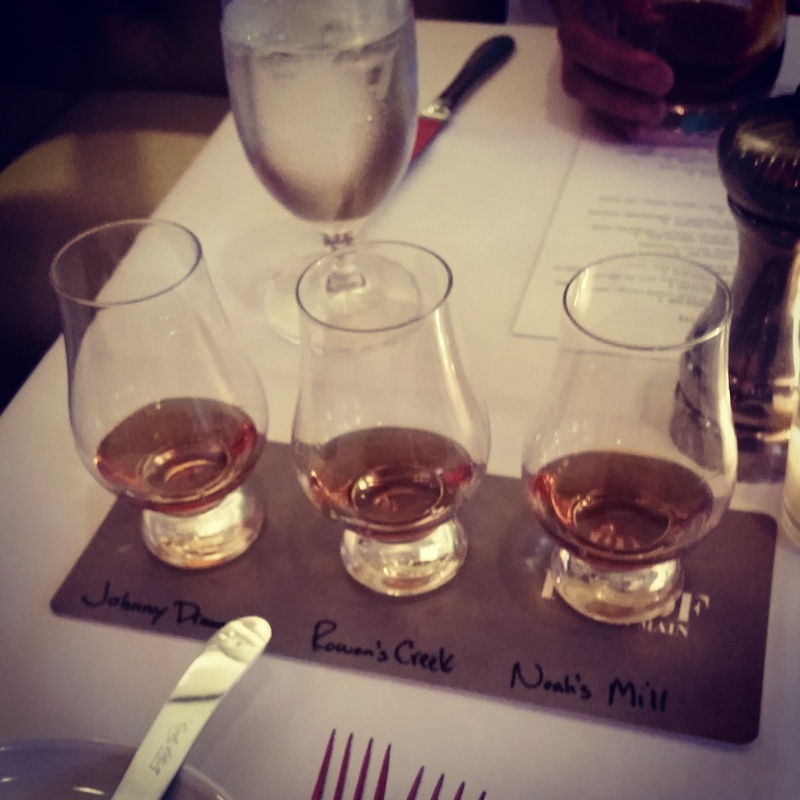 In June, we headed back to tour some distilleries and attend the “Pappy For your Pappy” tasting dinner with the Van Winkle family at Buffalo Trace Distillery. 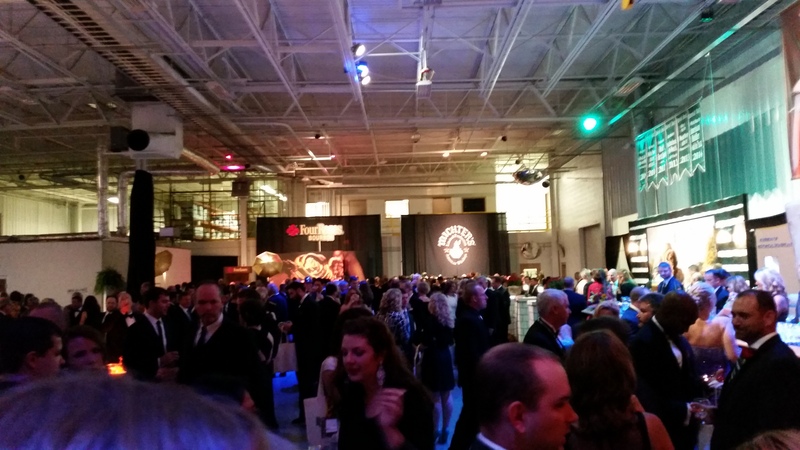 And last week, we headed down for the The Great Kentucky Bourbon Tasting & Gala. 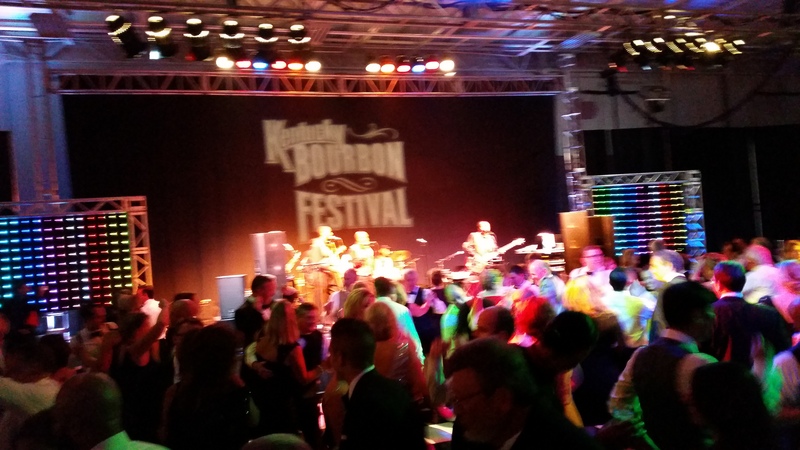 The Kentucky Bourbon Festival is a yearly event in Bardstown, Kentucky in the heart of bourbon country. It started small in 1992, and has grown every year, as a week long full celebration of all things bourbon. 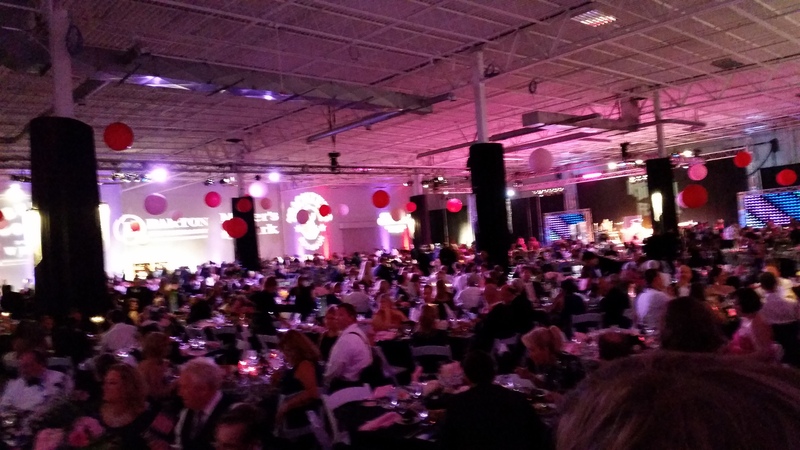 There are barrel making exhibitions, events for families, kids, tours of Bardstown, mixology lessons, cooking demonstrations – this is a full scale celebration! 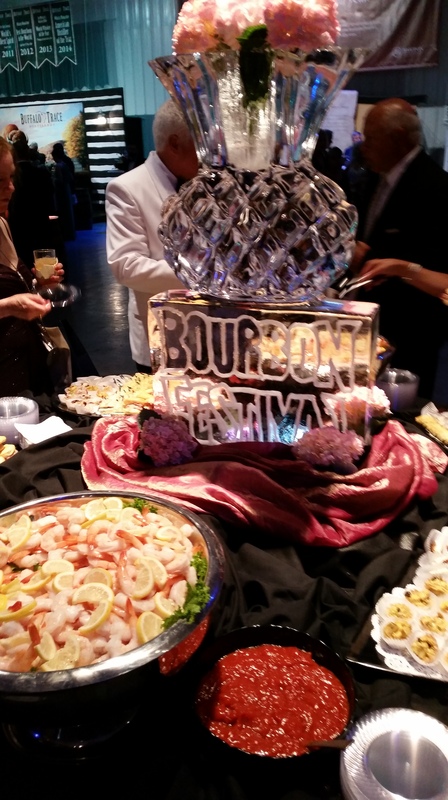 As the week goes on, there are nightly events for the bourbon faithful – dinners and dancing, country and bluegrass concerts, all culminating in the big event, the Gala – a black tie affair. It was for this event my wife surprised me with tickets, and for this event we headed down. 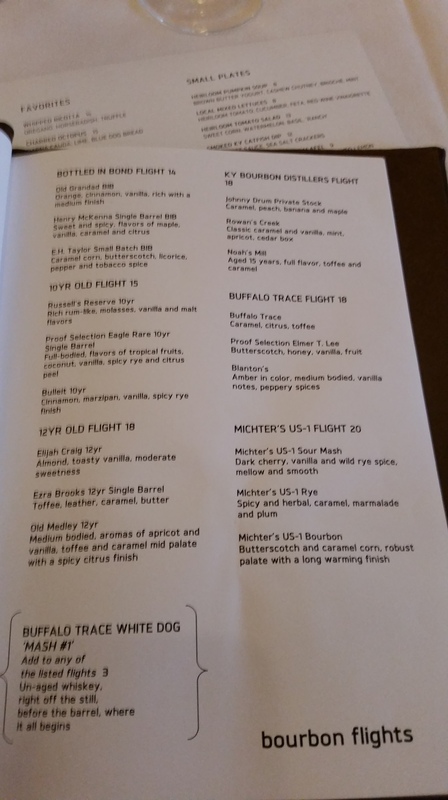 I went with the KY Bourbon Distillers Flight, as it offered three products I cannot find in Michigan, the Johnny Drum Private Stock, the Rowan’s Creek and Noah’s Mill. We’ve sampled the good from Chef Levon Wallace‘s kitchen before, and this time was every bit as fantastic and delectable as expected. Dining in Louisville is an exceptional experience, and Proof on Main may be the best of the bunch! Saturday, we did some exploring of the stores between Louisville and Bardstown, looking for new, limited or fun bourbons that we can’t attain in Michigan, and finding a few of note. Particularly wonderful were the people of Old Town Wine and Spirits – they had a fantastic collection of spirits, particularly bourbon. After some perusal, I noticed they had two different store choice barrel strength Four Roses selections. I asked a gentleman about the differences, and he was wonderful enough to not only walk me through it, but to taste each. And by taste…I mean he poured me a glass of each. That is hospitality! With some new bourbon’s purchased, it was back to the hotel to get gussied up for the big Gala event. Now, I will be the first to admit, wearing a tuxedo is not exactly a point of comfort for me. By my count, I have worn one five times in my life: senior prom, standing up in three friend’s weddings, and now the bourbon tasting and gala. 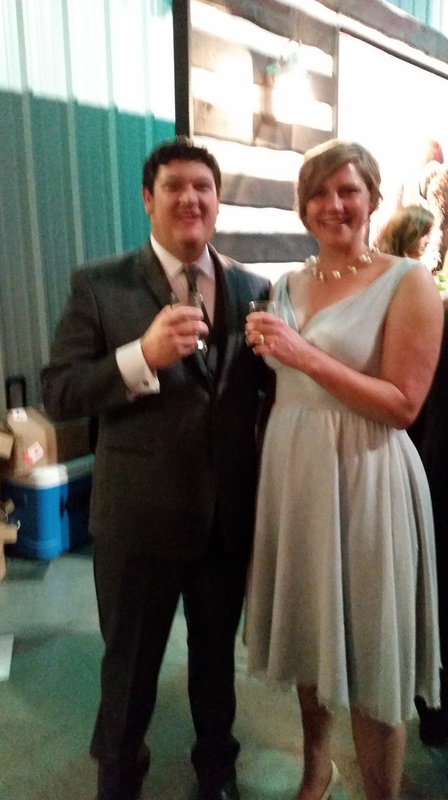 Dressed in my best James Bond impression, and with my wife looking stunning in a new dress, we headed to Bardstown. The first surprise was the location. Having not been to the festival, it came as a bit of a shock when we pulled into the parking lot of what appeared to be a massive distribution or warehouse facility. There was no doubt, however, that it was the right place to be, as the parking lot was full of shuttle and tour buses, and elegantly dressed people got out of cars to line up for the event. We took our place in line and soon enough the doors opened. Inside the first massive room we went into lay a bourbon lovers delight. Each of the major represented distilleries had bar setups around the outside walls. Each one was unique and different. Upon entry, each attendant was given a bag – this would be where we would stash our collected goodies as the night unfolded. A room full of beautiful people and beautiful bourbon! Each distillery had a full selection of their products available to drink. Most would serve your drink of choice in a glass specially made for the occasion, which you were to keep (by storing in the aforementioned bag). Most of these individual bars would also have a choice of mixed drink cocktail, ice, water, or to have the drink neat. In the center of the room was a long spread of hors d’oeuvres. Our first stop was the Blanton’s bar. Always a favorite of mine, it seemed a great way to get the night started! We sipped our drinks, and moved around. 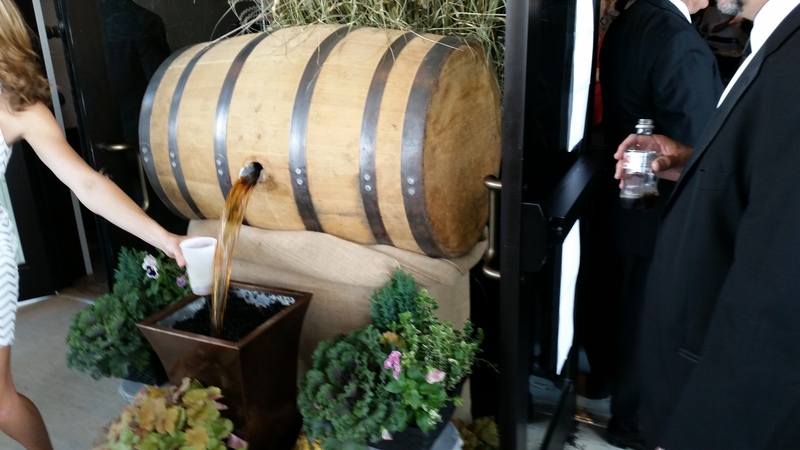 Wild Turkey had a backdrop for guests to have their red carpet style photo taken. They also had perhaps the most ornate bar, practically a saloon set up there where I was short to procure a glass of the Russell’s Reserve I love so much. 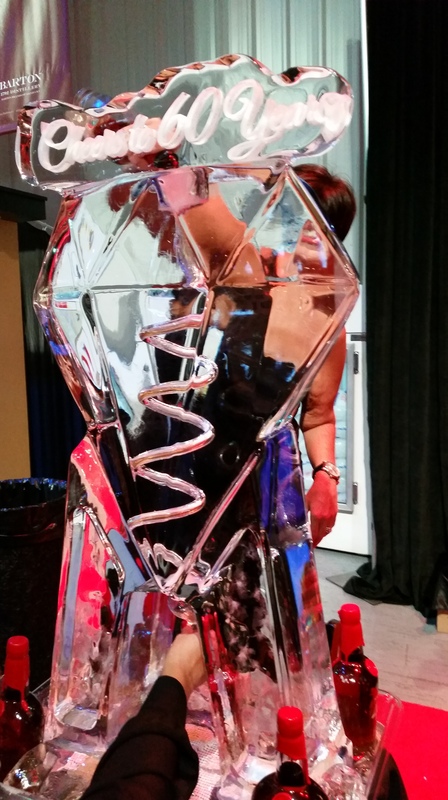 In addition to a wonderful set of cocktails and a beautiful display, Makers Mark had an ice luge, where I enjoyed a glass of Makers 46, chilled in this most fun way possible. After some food, & a wonderful conversation with former Maker’s Mark and now Bardstown Bourbon Company master distiller and Kentucky Bourbon Festival Hall of Fame member Steve Nally and his lovely wife, we made our way over to the Heaven Hill set up, where Jen enjoyed a Ezra Brooks smoothie , and I indulged in a pour of Evan Williams Single Barrel. Buffalo Trace had the most elegant glasses of the evening, with a raised Buffalo etched in the side. Ridgemont Reserve 1792 served a bourbon orange cream drink that would certainly fit as a dessert on any fine menu. By the time I wandered up to the Jim Beam bar, we had only been there for about an hour and a half. I asked the bartender for a glass of my favorite Jim Beam product, the Jim Beam Black 8 Year. When he asked if I wanted a single or double, I laughed and said the night was so young I better keep it a single. He quickly responded that the night was so young, it was early enough for a double! Bulleit had their 10 year bourbon available, and I spoke with one of their representatives about the recent reopening of the Stitzel-Weller distillery under the name that had occurred that week. It is certainly on the short list of places I want to visit soon. The line at Four Roses was intimidating – they were also offering photographs – so I visited Michter’s and grabbed a few more munchies just as the lights flashed to usher us into the main room where dinner was about to be served. They have a bag check so we wouldn’t carry around the impressive number of glasses we had collected during the evening, and we entered the large room for dinner. As you might imagine, a room sitting what I estimated to have been seven or eight hundred people for dinner would be massive. And it was. There was a stage set up on the far side of the room, where the toast and a few short speeches would be given. Later in the evening, this would also be the bandstand for the dancing part of the night. We found our table, to the far side from the stage and took seats. We were seated with two lovely groups. One group of four had come in from Atlanta, Georgia. One of the groups gentleman was celebrating his 50th birthday, to celebrate at the Bourbon Festival. What a fantastic idea! There was also a young couple from Cincinnati, Ohio at our table as well. With a bottle of Ridgemont Reserve at each table to toast with, we enjoyed talking to our fellow tablemates while eating our salads. I was particularly overjoyed to find out our new Georgian friends where sports fanatics as well! We talked about baseball at length, as well as SEC football. To my dismay, my Missouri Tigers fell that afternoon to the Indiana Hoosiers, a rather embarrassing loss. By this point, we all had noticed the lack of climate control in the facility. The temperature outside hovered around 85, and inside the lack of air flow had begun to take its toll. Many a brow was sweaty, and for the men, our tight collars and ties became slightly oppressive. As the toasts and short speeches began, we found we were too far on the other side of the room to be able to discern what was being said. The sound system was not clear enough for us to here the toast itself, or any of the comments of Wild Turkey master distiller Jimmy Russell who had showed up and made some comments of his own. Unfortunately, all we could hear was a sound more similar to the teacher from a Charlie Brown cartoon. By the time the delicious dinner was served, we dug in. A band playing Motown and classic soul favorites struck up, and some revelers, including ourselves, went to dance for a bit. The gala goes on until 1 in the morning, but by 11, the heat had taken its toll and Jen and I were ready to retreat the distance back to Louisville. We bid our new friends farewell and safe travels, and beat the path back to Louisville, for a good night’s sleep. Wait, did Derek Jeter do something last night? It all looks wonderful. Thanks for sharing the experience. Hey.. Finally found u on the web. 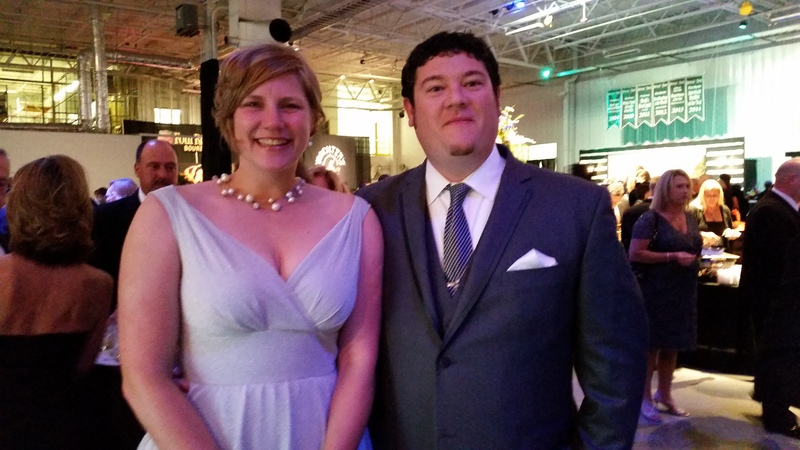 we met at the bourbon gala. We were the couple from cincinnati. . Love to talk to you about you pappy post.